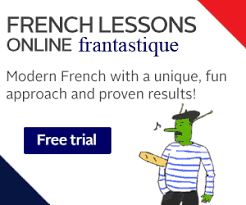 Think of France and it’s likely that sooner or later, in among thoughts of the Eiffel Tower, endless vineyards, and deliciously crunchy baguettes; a vision of a grand château will emerge. Perhaps a castle you’ve seen in a film, or in the pages of a travel brochure. The type of castle that inspires the imagination and evokes thoughts of how life might have been when knights and princesses weren’t confined to the pages of a storybook. From steep hilltop châteaux to sprawling walled palaces, France’s castles are among the best in the world. I love visiting châteaux in France on our travels around the country, but I’ve not yet visited enough castles to make a call about which are the most beautiful. So I asked other Francophile travel writers to share their thoughts! Below are our choices of the best castles in France to visit on your next holiday. The map below shows the location of the best châteaux in France. The following castles are located near Paris and make great day trip destinations from the country’s capital city. 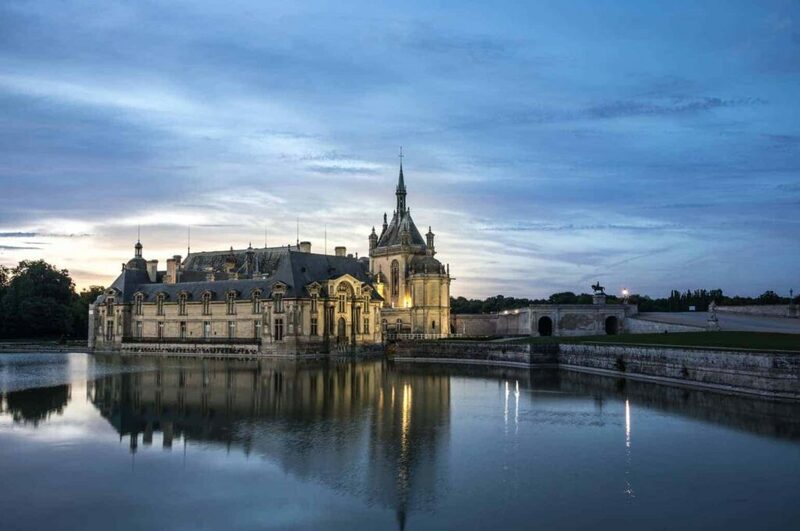 Château de Chantilly makes an easy getaway from Paris, and yet relatively few make the trip. Those who do are rewarded with a magnificent scene as they enter the castle grounds. The gardens are a work of art comprising of lakes, canals, wooded areas and manicured lawns. Indeed, the gardens are worth the trip in their own right and should be appreciated at leisure. Take your time to discover the different areas, each with its own distinct theme. From the Anglo-Chinese garden with its rustic hamlet of houses to the romantic English garden, there’s plenty to keep you amused for hours. Once you do approach the château, take care not to mistake it for the stables nearby. The Great Stables are a veritable palace for horses, and today house an entire museum dedicated to equestrian art and activities. The castle itself houses one of the finest art galleries in France. The castle’s former owner, the Duke of Aumale, was a keen collector and gifted the works to the Institut de France on the condition they were never removed from the property. There is a lot to see and do at the Château de Chantilly, so plan ahead to spend the entire day getting acquainted with what is unmistakably one of the finest castles in France. Le Château de Fontainebleau is a beautiful castle located 55km south-east of the capital and it’s one of the best day trips from Paris. The first castle, surrounded by a huge and scenic forest, was built in the XII century as a hunting place for the king of France (Louis VII*). Since then, the king’s successors spent a lot of energy and money enlarging and embellishing this castle and today Fontainebleau is one of the largest (and most beautiful) royal castles in France. 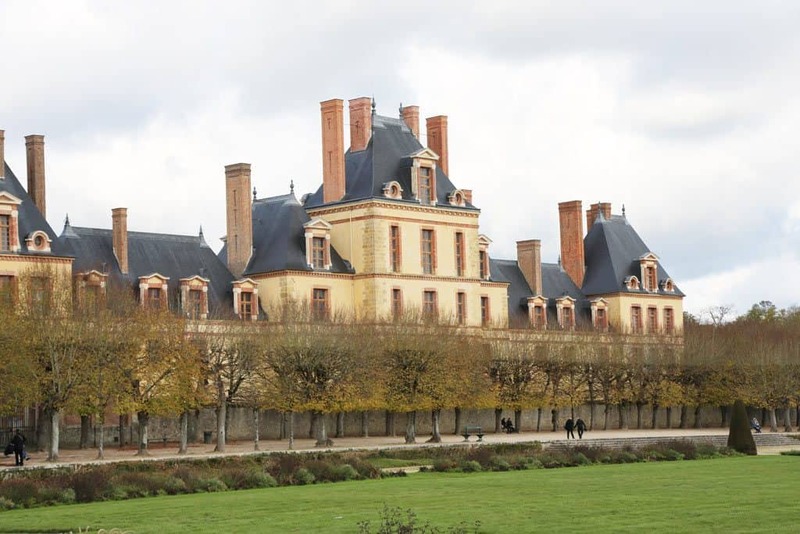 The current Château de Fontainebleau has a mix of styles, being Renaissance and Classicism the most dominant ones. The castle is a succession of elegant rooms and grand halls with amazing decoration and sometimes a rustic touch (after all it was a hunting place..). The most impressive spaces are the Gallery of Francis, the Ballroom and the Chapel of the Trinity, all richly decorated. This castle is also famous for its impressive gardens, representing the major landscaping styles of their periods, and the Grand Parterre, the largest in Europe and King Louis XIV’s main intervention in Fontainebleau. If you still hesitate to visit this fantastic castle here is one more reason: Fontainebleau entrance is free the first Sunday of the month (except the months of July and August) and there are no waiting lines! * It’s not 100% sure that King Louis VII built the first elements of Fontainebleau (perhaps it was his father or even his grandfather). 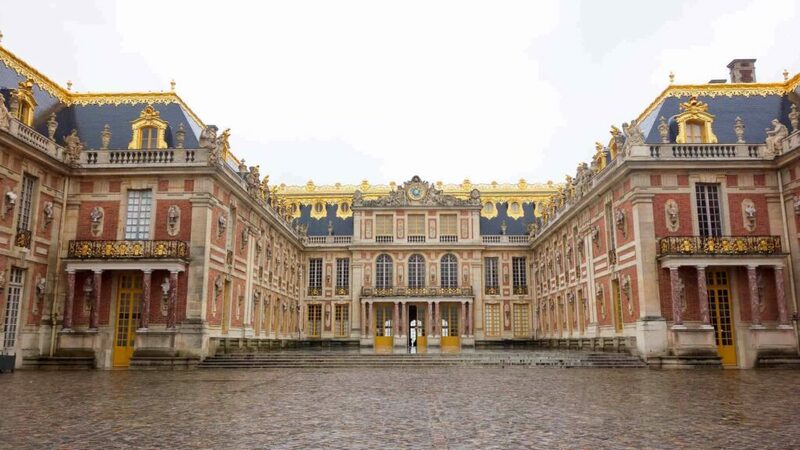 Perhaps the most famous palace in France, and one of the most visited in the world, is the Palace of Versailles. Situated 10 miles outside of Paris lies this extravagant château. Once the former seat of power for France, it’s now a museum showcasing French history. Constructed in 1631 by King Louis XIII, the château was designed in the French Baroque style and comprises of 2,300 rooms, a luxurious park, decorative gardens and a Grand Canal. Be sure not to miss the most notable part of the palace – The Hall of Mirrors connects the King and Queen’s apartments and is decorated with more than 350 mirrors. It’s quite impressive! The Palace sees more than 8 million visitors each year. It is a very popular tourist destination, and even during the offseason, the crowds are intense. In order to fully enjoy your experience at Versailles, you should purchase tickets online in advance, arrive as early as possible, and have already eaten. 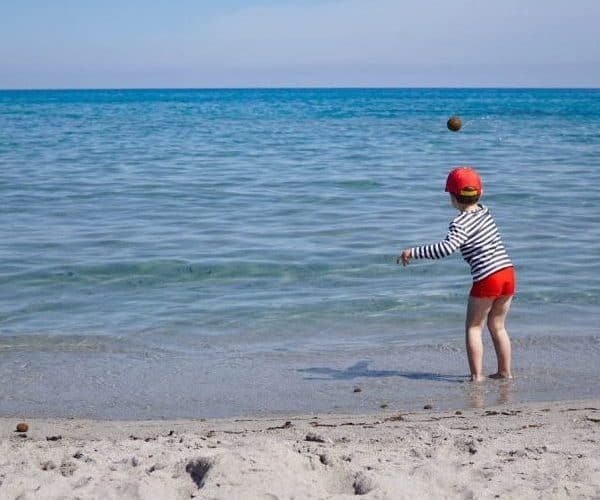 Pack water, snacks and sunscreen if you are visiting in the summer. Le Château de la Belle au Bois Dormant or Sleeping Beauty’s Castle is located at the end of Main Street in Disneyland Paris. With soaring spires and gorgeous turrets, the iconic 167ft fairy-tale castle is definitely worth a visit when you need a bit of magic in your life. The castle itself is pink and blue, bringing to mind “Make it pink. Make it blue,” (from Sleeping Beauty, where two fairies fight over what colour Aurora’s dress should be). Le Château de la Belle au Bois Dormant is the only Disney castle with its own huge animatronic dragon in the dungeon below, which regularly wakes up and blows smoke. If you are looking at the castle from Main Street, you’ll find the entrance to La Tanière du Dragon by following the path on the left. There are a couple of shops on the ground floor as you walk up the bridge and through the castle itself as well as a set of stone steps leading to La Galerie de la Belle au Bois Dormant. This is a walkthrough showing the story of Sleeping Beauty herself through colourfull stained glass windows and a tapestry flanked by two knights – if you take a photo with flash, one shows up pink and one blue. Whilst up there you can also walk out onto the balcony and look out over Disneyland Paris, perfect for those magical times you want to be a Princess surveying your kingdom. 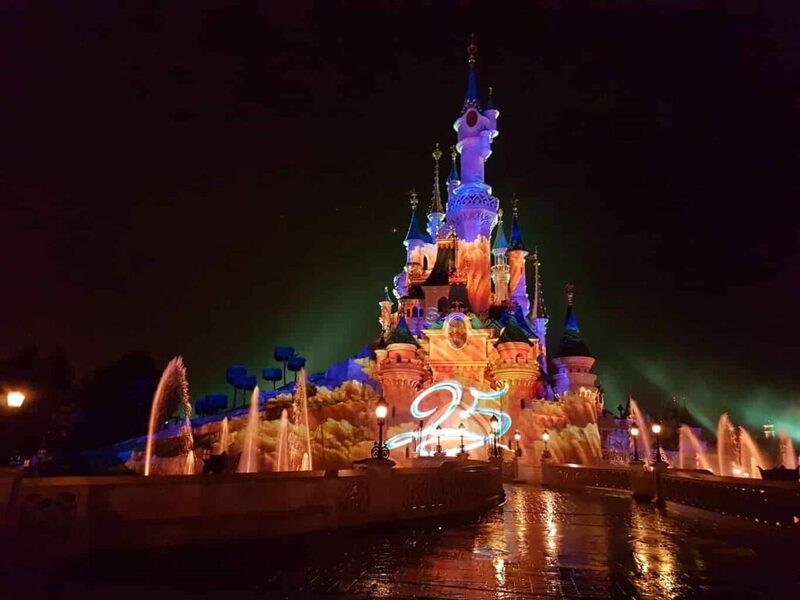 If you happen to be in Disneyland Paris in the evening, they also project the Illuminations Show onto the front of the castle with Disney movie scenes, fireworks, lasers and fountains. 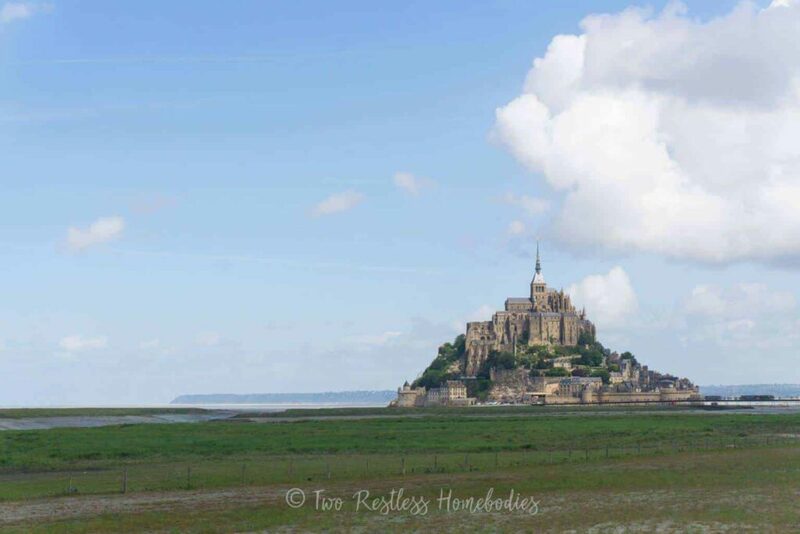 If you’re looking for a spectacular day trip from Paris, book a combined TGV/bus ticket to Mont Saint Michel. On a lovely day, skip the tram they offer to the front gates and walk instead over the grassy dunes until the spires come into view. Your camera will thank you! Spoiler: while this coastal Normandy beauty may look like the most castle-ish castle you’ve ever seen, Mont Saint Michel isn’t actually a castle. This, despite the fact that its striking appearance inspired Rapunzel’s castle in Tangled! In reality, Mont Saint Michel is a walled city built up around an 8th-century abbey, which was built on even older structures. And built UP is right – if you climb to the top of the city (beware the narrow, steep streets!) and take the paid tour, you’ll find, among other things, that you can journey deep into the interior of the city and still see remnants of the original abbey. Everything else above and around the original structure has been added on over the centuries. But perhaps the most unique thing about Mont Saint Michel is that, when the tide comes in, the city becomes an island that’s only accessible by boat! There are so many things to love about this beautiful place – quiet gardens, stunning views, artist studios, and history galore – that it’s a must-visit on your next trip to France. The Loire Valley is rich in many things, not least the beautiful castles that can be found there. Château d’Amboise is located in France’s Loire Valley in the charming half-timbered town of Amboise, and has been since Roman times. Unlike most Loire Valley châteaux, Amboise Castle is located in the centre of town rather than the secluded countryside. 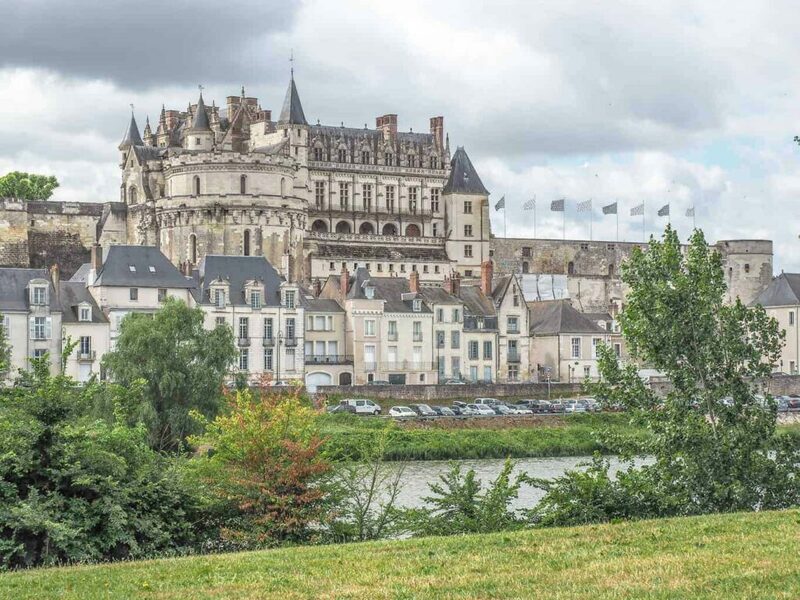 The castle you can visit today was built upon the foundations of an old fortress—a fact that explains its strategic hilltop location overlooking the Loire River. Château d’Amboise offers guided tours of much of the castle including its elaborately decorated and furnished rooms, its beautifully manicured gardens, and its passageways and towers. From atop the castle – displaying Gothic, Renaissance, and 19th-century styles – you’ll find fabulous views of the surrounding town and its wild river. While inside you’ll find suits of armour, tapestries, colourful stained glass, and everything else you could want in a castle. Later renovations of the château were partially designed by none other than Leonardo da Vinci, on behalf of King Charles VIII. On the property of Château d’Amboise is the Chapel of Saint Hubert where you can find the grave of the Renaissance master himself who lived and worked in the town of Amboise in his last three years. In the heart of the Loire Valley is Chenonceau – one of the prettiest castles in France, if not Europe. Built over the river Cher, the Renaissance château was built in the 16th century on the site of an old mill and was once a royal residence. Today you can visit the castle that seems straight out of fairy tale with its pointed towers and turrets, moat and elegant courtyards. Inside there are many beautifully restored rooms to admire as well as stunning views of the Cher River from the first-floor balcony and a magnificent collection of art. There are masterpieces by Rubens and Tintoretto on display beside finely crafted Renaissance era furniture and tapestries. The château has a fascinating history. Queen Catherine de Medici, wife to King Henry II, seized Chenonceau from his mistress Diane de Poitiers after the king died in 1559. The styles of the two former owners are reflected in two of the magnificent formal gardens on the estate. 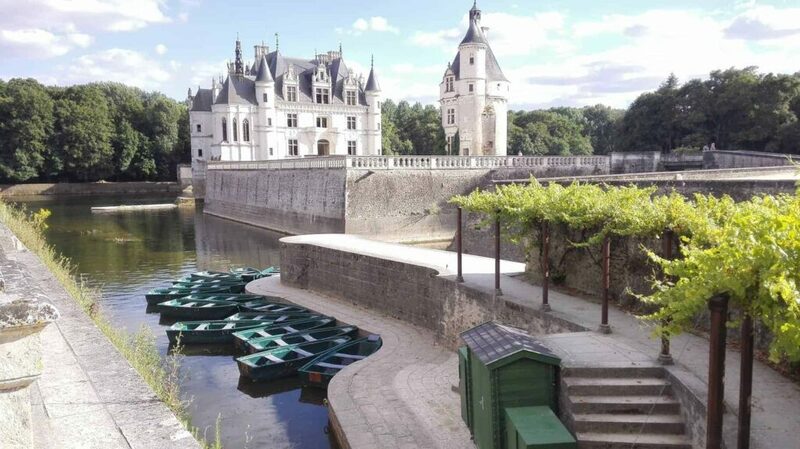 Chenonceau is one of the most popular sites to visit in France and a must do when you are in the Loire Valley. 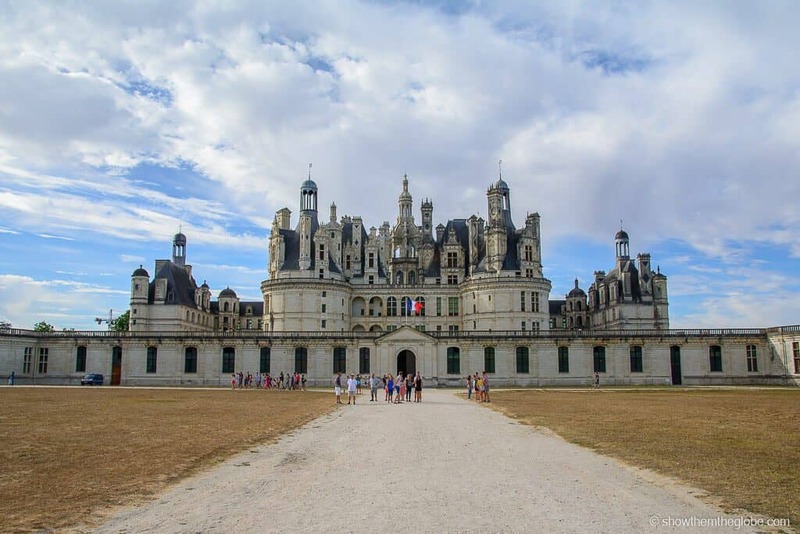 One of the most recognisable châteaux in the world, Château de Chambord in Loir-et-Cher is the largest château in the Loire Valley and one of our favourite buildings in France. As you arrive at the estate the striking white limestone and intricate roof of the Renaissance style château reflects across the water which surrounds the rear of the palace. 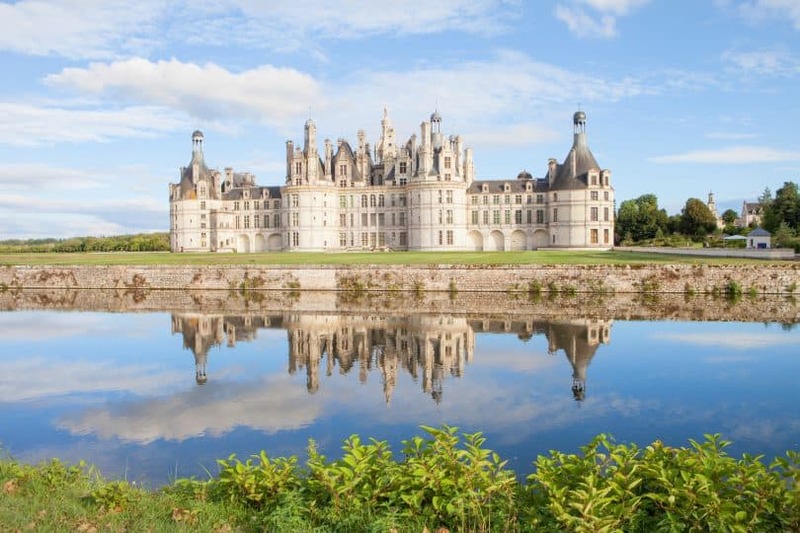 Originally built as a hunting lodge for King Francis 1, this stunning castle is now inscribed on the UNESCO World Heritage Site as part of the Loire Valley and is open to the public to visit. 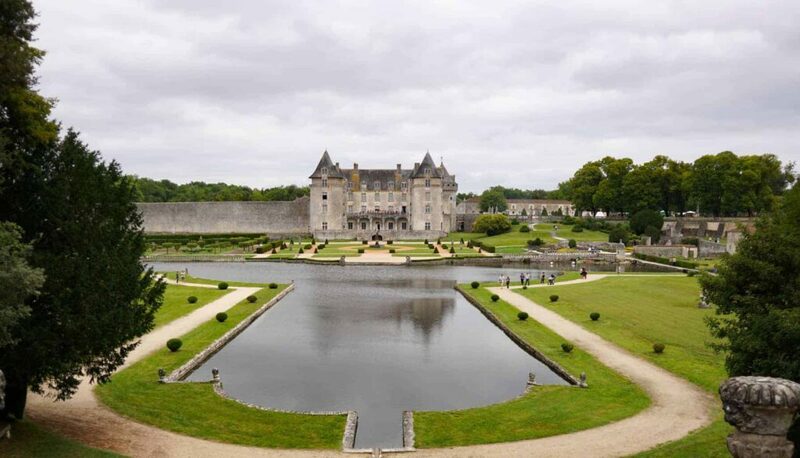 We loved strolling around the grounds and taking in the views of the beautiful château from the landscaped gardens. A self-guided or guide-led a tour of the inside of the château takes around an hour and we highly recommend you do it as the castle is even more beautiful on the inside! Make sure to save some time to explore the visitor village close to the car park where you can sample some of the local wines and enjoy a snack as you take in the view of this stunning site. The castles near the eastern border take on influences of their German and Swiss neighbours, making them unique to the other French castles. 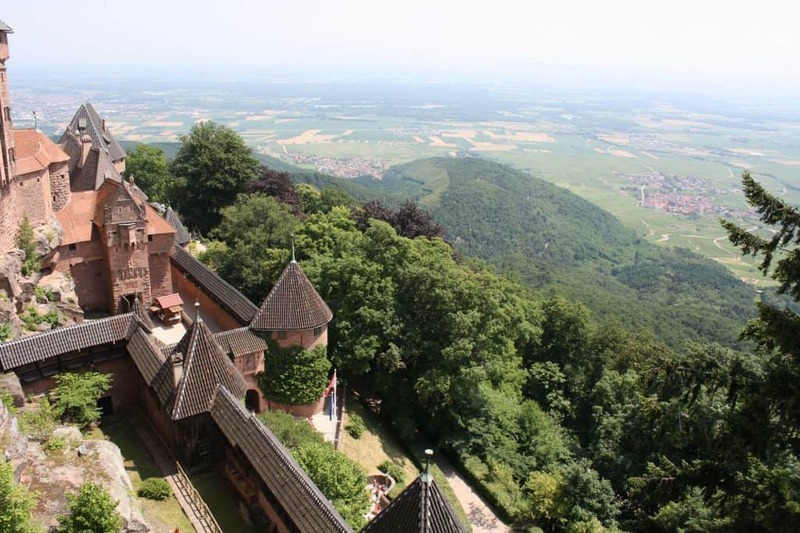 Perched on a rocky promontory 750-metres above the Alsace plain, Château du Haut-Koenigsbourg is an impressive site. The original château dates back to the 12th century but has had many reincarnations since then. The fairytale-like version we see today is thanks to a restoration project by German emperor Kaiser Wilhelm in the early 20th century. At the time, France’s Alsace region was a part of Germany and the emperor, realising the importance of the castle, wanted to have it restored to create a museum of the Middle Ages. The castle was again restored in 1993 and today attracts over 500,000 visitors each year. Inside the castle, many rooms have been furnished and there is a large collection of weapons and armour, mostly from the 16th and 17th centuries. The castle also features turrets, fortifications and a watchtower which provides spectacular views as far as the Vosges mountains and the Black Forest. If you’re visiting the Alsace region of France, Château du Haut-Koenigsbourg is well worth a visit. Château du Haut-Koenigsbourg is located at Orschwiller, 26 kilometres from Colmar and 55 kilometres from Strasbourg. Annecy is a small town in southern France that attracts visitors for its beautiful medieval old town adorned with flower-bedecked canals. The old town has numerous medieval buildings and churches. And one of the prominent landmarks of the old town is the Annecy Castle or the Château d’Annecy. The castle complex was expanded over time, with the oldest part dating back to 13th century and the most recent to the 16th century. 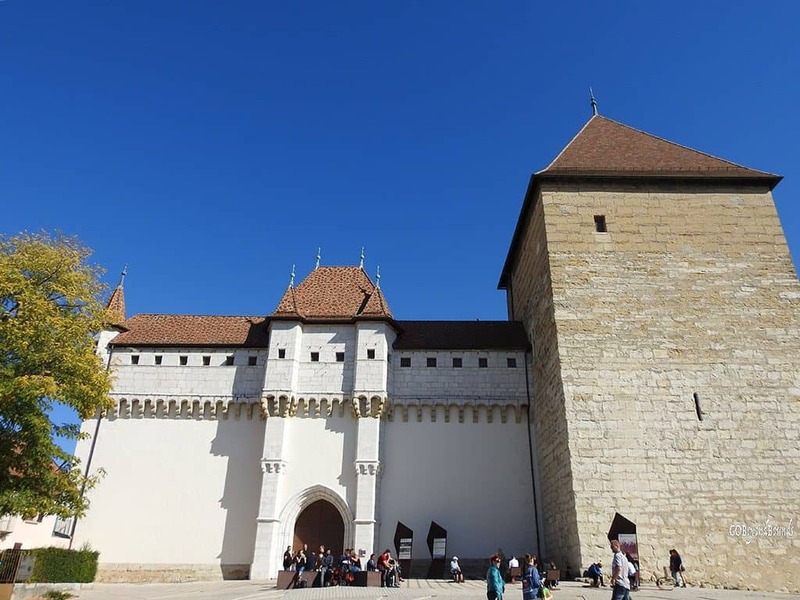 The castle has served as the residence of the Counts of Geneva and the Dukes of Genevois-Nemours. The castle was bought by the city of Annecy in 1953 who converted it into a museum. Today the castle houses a collection of regional sculptures and paintings. There are also several temporary exhibitions. The terrace of the castle offers incredible views of the town rooftops, the shimmering blue lake of Annecy and the mountains in the backdrop. The castle sits on a hill and is connected to the old town centre through several cobblestone alleys. Wandering down the alleys is a great way to explore more of the town with remarkable views on your way. Poitou-Charentes may not be the first region of France that comes to mind when you think of castles. But this western region of France is home to many beautiful châteaux including the two detailed below. 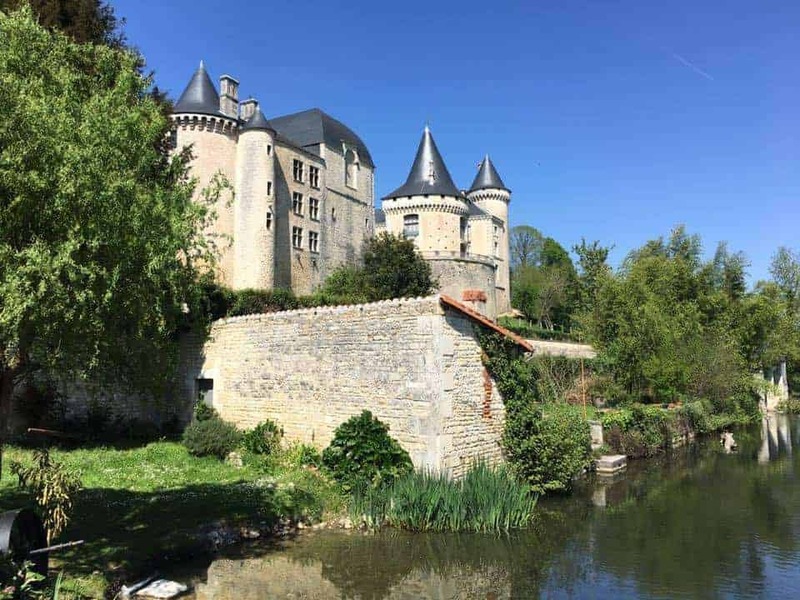 Nestled in the rolling sunflower fields of the Charente, the Château de Verteuil sits overlooking the Charente river in the small village of Verteuil. This château has been privately owned by the La Rochefoucauld family since it was first built in 1080. The castle has been partially destroyed many times over the centuries during many different wars, and always rebuilt, with new styles being added with each new iteration. Due to the archaeology known to be within the grounds, including some of the remaining features of the original castle, and the 12thcentury castle walls, Château de Verteuil was listed as a historic monument in 2010. Given that it is a private estate, you can only visit the château for a guided tour on weekend days between April and September. 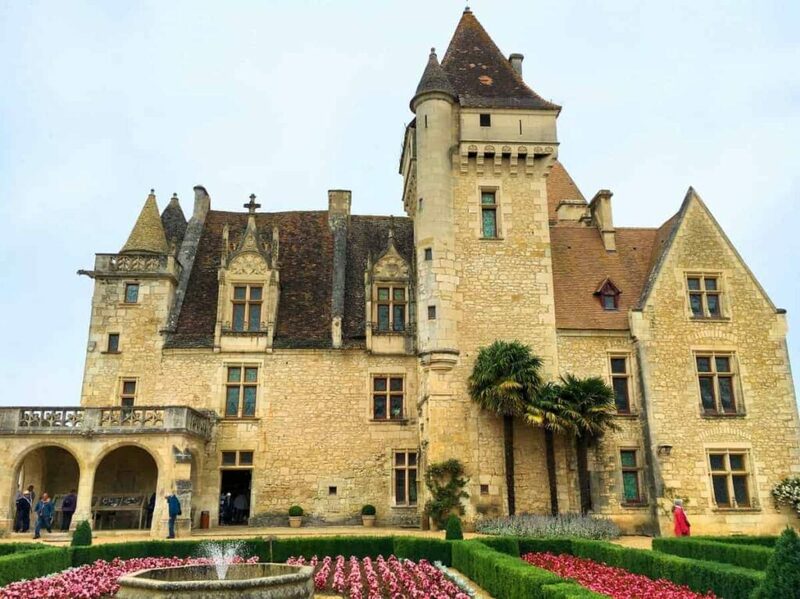 With its five conical towers, huge library, and watchtower (restored mostly in the Bourbon style around 1815), Château de Verteuil is a snapshot of family life of the French elite and a fascinating castle to visit. Head over to Le Moulin de Verteuil (the old flour mill, now a restaurant) for lunch, to get one of the best views of Château de Verteuil from their terrace. Located near our previous home of Saintes, Château de la Roche Courbon makes for a fascinating day out. Not only do you have the château that has been painstakingly restored from its previously ruined state, but the grounds hold secrets of their own. A short walk from the castle you’ll find stone age cave dwellings that hint at the importance of this site throughout history. And the gardens surrounding the castle are an exquisite work of art in themselves. The château holds many family-friendly events throughout the year, including the fête médiévale – which, you guessed it, is a festival including games and demonstrations from the medieval period. The castle can be visited with a guided tour year-round, at set times. It is still inhabited by the family of Paul Chénereau – the man who saved the château from its inevitable demise. 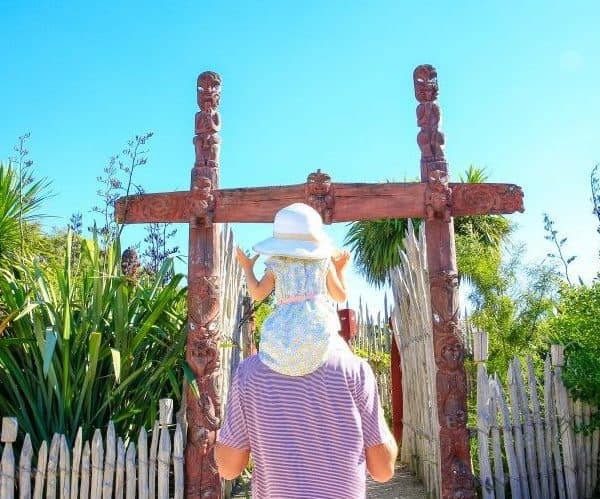 The gardens, grottes and prehistory museum are free to visit. 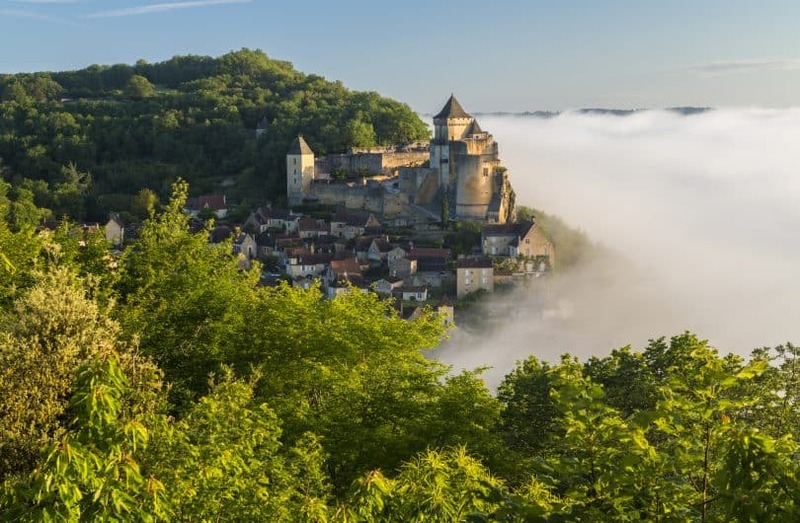 It’s in the centre of France that you’ll find some of the country’s best-kept secrets, including the following three castles. Château des Milandes is a beautiful gothic style castle located in the Dordogne area of South West France. Constructed from the signature honeycomb stone of the area, it’s an imposing site. The castle dates back to the 1400’s but is most known for its owner in the 1940’s – the celebrated dancer and singer Josephine Baker. Josephine lived in the château with her 12 adopted children from around the world and you can see glimpses into their life during a visit to the castle. The château is a wonderful celebration of her life including her role in the resistance movement during World War II. The castle itself is set in beautiful grounds and the gardens are listed as a historic monument. It was redesigned into its current grand format in the early 1900’s by Jules Vacherot, who was the head gardener for the City of Paris. In the grounds, you’ll find many beautiful birds of prey that take part in a daily demonstration during the summer months which is quite breathtaking. 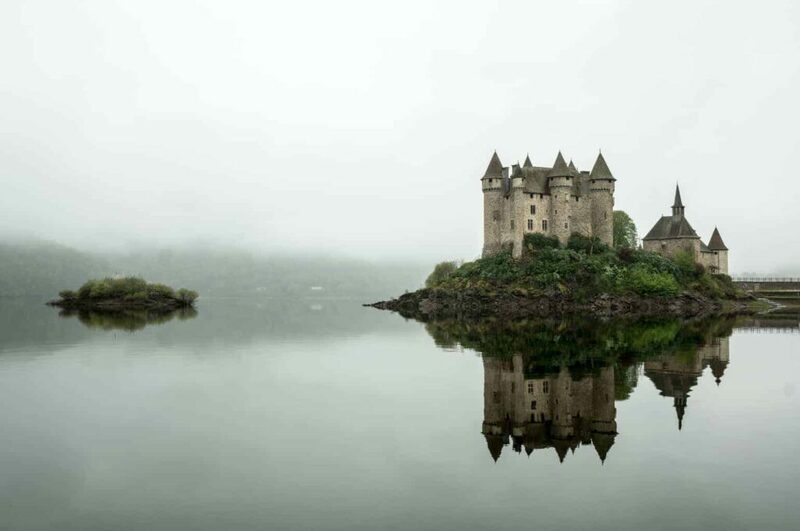 Located in the Haute-Auvergne region of central France, Château de Val seemingly rises up out of the man-made lake that surrounds it. Although petite in stature compared to many on this list, it deserves its spot not least because of its unique surroundings. Instead of ornate gardens and carefully curated flower pots, you’re more likely to find beach umbrellas and sailing boats! The castle itself dates back to the 15th century and stands out as one of the best-preserved castles of the region. It’s a popular spot for families in the region (as my husband who grew up not far away tells me), and a great family-friendly castle if you’re visiting France with kids. 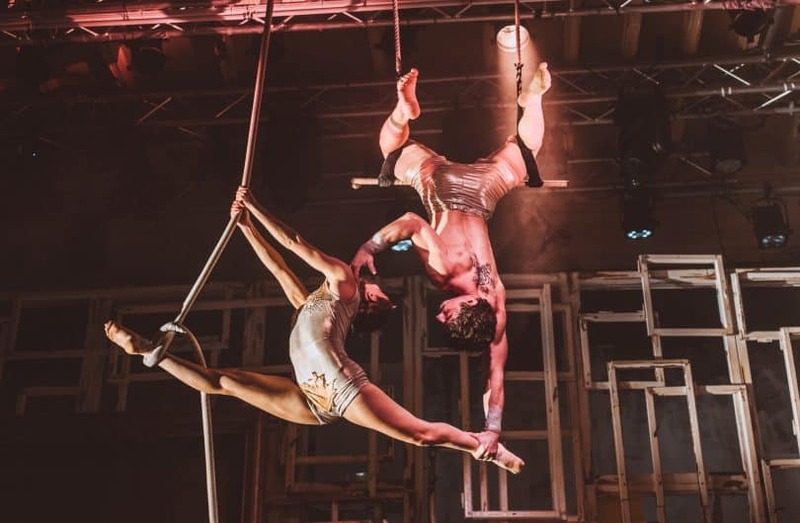 There are several events held throughout the year and free entertainment is offered for children at any time. Rocamadour is a magnificent medieval château and village found towering over the Dore River (a tributary of the River Dordogne) with views over surrounding cliffs and gorges below. But the scenes when arriving are just as spectacular, from the surrounding midi-Pyrenees (as pictured), where winding streets and tight tunnels reach across through the gorges to the main car park which sits just below the village. To reach the village from the car park there is a shuttle option, although the walk is not too strenuous up to the start of the cobbled streets of the village. The scenes are sincerely beautiful, albeit slightly touristy for the remote Dordogne Valley region, although it otherwise escapes the major tourist trails of France. Unfortunately, you cannot enter the interiors of the private castle/château itself, but there is a paid option to access the rooftop where there are fantastic views over surrounding cliffs and valleys. 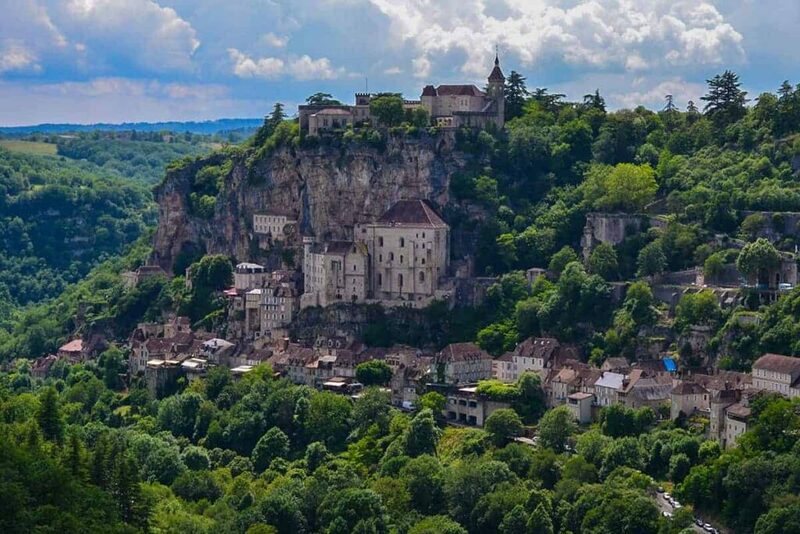 Rocamadour also belongs to the “Les plus beaux villages de France” (the most beautiful villages in France) association. The South of France is home to hundreds of hilltop châteaux, although many are now left in ruins. 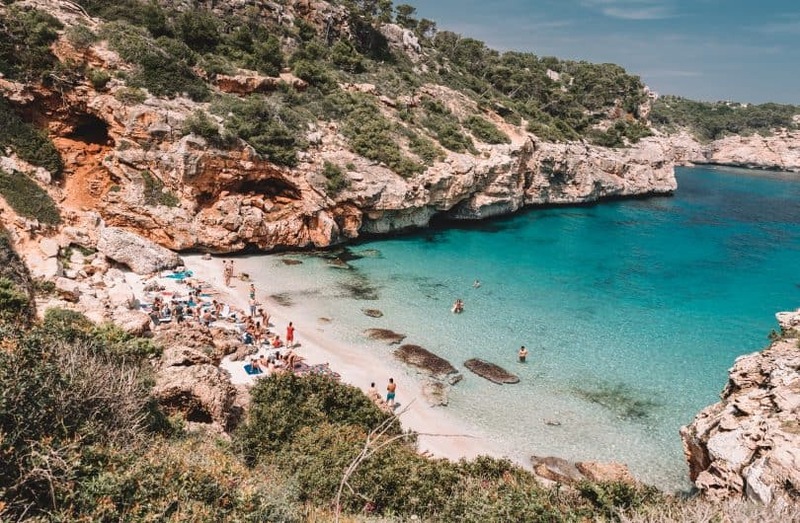 Here are five that are well worth visiting on your tour of the South of France. Château de Quéribus is a medieval border castle in the foothills of the Pyrenees. It was built to defend the borders to Aragón in the south, but it’s best known as the last stronghold of the Cathars. The Cathars were a small Christian sect who fled from persecution in the 13th century after hundreds of men, children and women were brutally murdered in the cities of Southern France. Not surprisingly, at Quéribus they were able to fend off attackers for a total of 11 years. Château de Quéribus is a remote hilltop castle, not easily accessible, and exposed to the elements. The ruined walls, towers and battlements cascade down the steep crest of a mountain like a rotten tooth. Access is via a hiking path but you need good footwear to navigate the crumbling stone steps to the very top. A visit will reward you with breathtaking views of the mountains. Some of the defensive structures of the ruined castle are also easy to recognise. You can visit Château de Quéribus on a day trip from Carcassonne or Spain, but if you really want to immerse yourself in the region, stay at the historic village of Cucugnan nearby. Although only a shadow of its former self, the ruins of Château des Baux are still by far one of my favourite sites to visit in Provence. 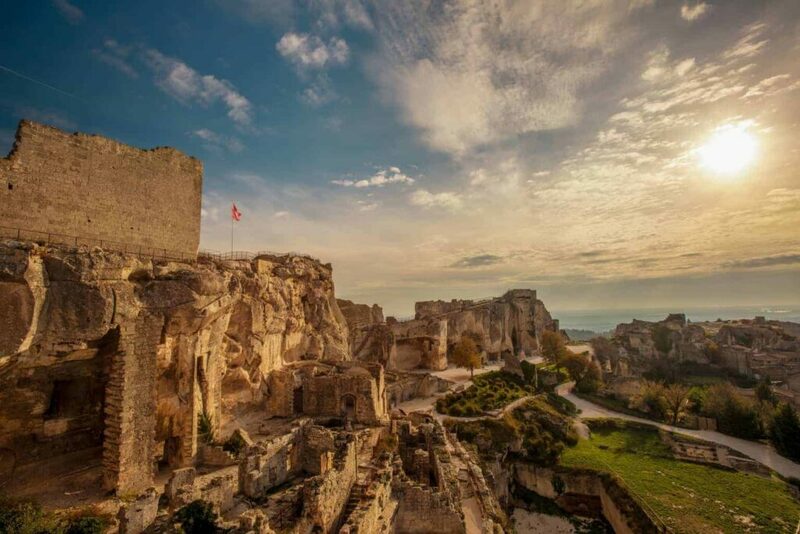 Walking through the maze of crooked stairways and crumbling walls, you get a feel for what was once a grand palace sitting high above the rugged landscape of the Alpilles. Pictures are placed at strategic points throughout the site to give you a glimpse into what the château – and life inside the château – was once like. Situated atop the bucolic village of Les Baux de Provence, this 10th-century castle offers multiple opportunities to sample its rich history. Peek inside the rabbit burrow (a deep passageway that enemies would have been ill-fated to enter), climb up to the Paravelle tower, and imagine the lavish decorations that would have once adorned the walls of the stone-carved former chapel. Nowadays you can still witness the weapons of siege in action, and watch demonstrations of medieval craftsmanship. 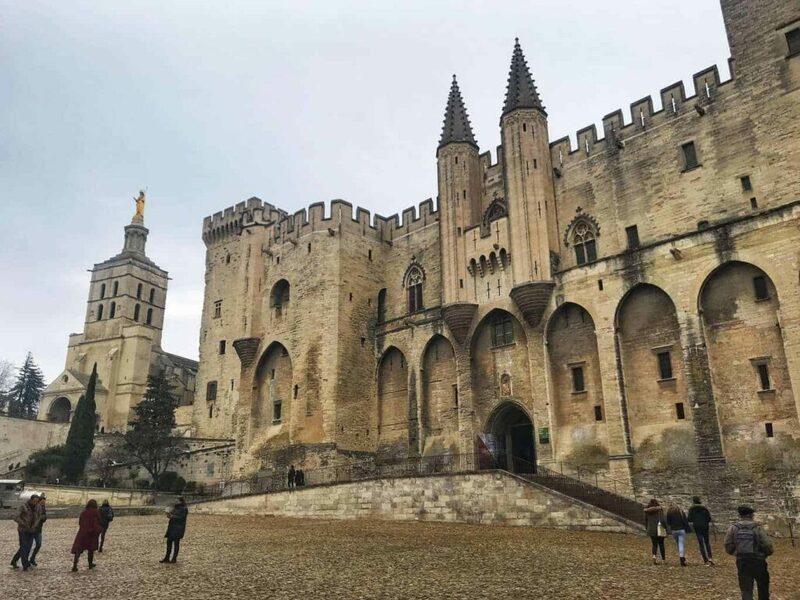 Located in the beautiful Provençal city of Avignon, Palais des Papes is an enormous palace complex built by the Catholic Church in the 14th Century. It served as the seat of Catholicism for approximately 400 years during the reign of the French Popes. This well-known and beloved French UNESCO World Heritage site spans an area of 15,000 square meters making it the largest Gothic Medieval palace in Europe and the world. Visitors can explore approximately 25 rooms within the palace complex including papal bedrooms, the cloisters, chapels, and the towers. There is also a nice collection of medieval art to gaze upon as well as an interactive virtual tour to guide you. Don’t forget to visit the nearby Benezet Bridge (also a UNESCO site) which you can access if you purchase a combined ticket. Château Comtal de Carcassonne is in southern France and makes a great day trip from Toulouse or Montpellier. If you love history and romance, then a visit to the UNESCO site of Château Comtal should be on your itinerary of France. 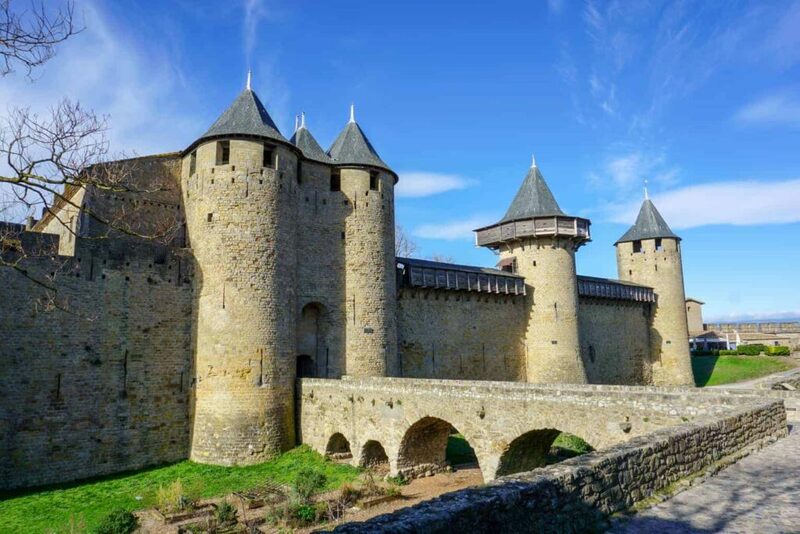 This beautiful medieval castle sits atop a hillside within the fortified city of Carcassonne. And they say the Chateau was an inspiration for the castle in the fairy tale of Sleeping Beauty. Passing through the fortified walls via one of the gates, you will enter the small city inside the walls. As you stroll along the cobblestone streets, you will find plenty of boutique shops to keep you interested. Then the big decision is which restaurant to enjoy the famous dish Cassoulet! Taking a look down an ancient well or climbing an old rampart will have you daydreaming of days of old. 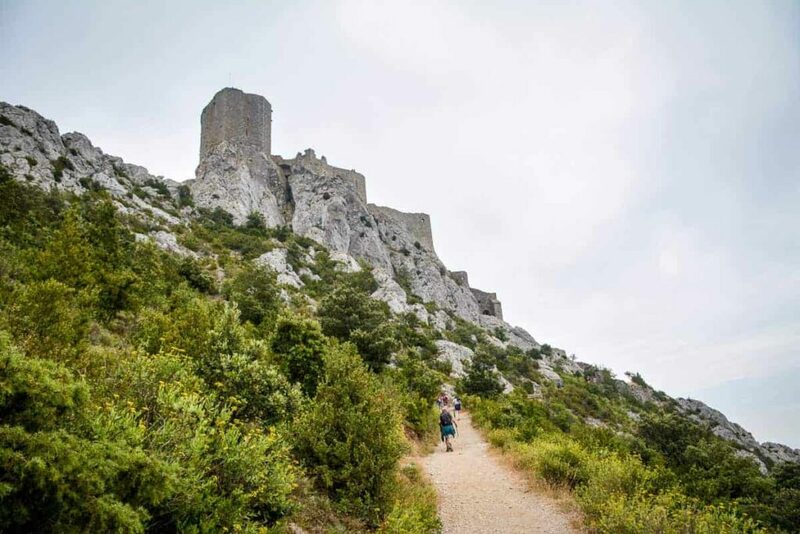 Then climb one of the 53 towers to admire spectacular vineyards and the views out across the valley created by Aude River. Château Comtal de Carcassonne is a perfect castle for a romantic short stay. 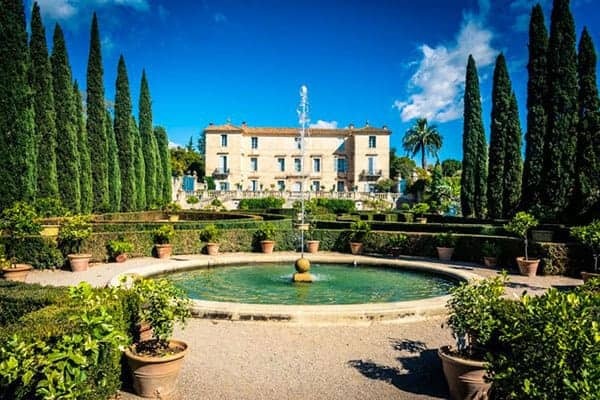 The Château de Flaugergues is a beautiful castle near Montpellier in the south of France. It preserves antique furniture and also Flemish tapestries. Actually, the special thing about this place is that it is not as grandiose as other castles you might know. It’s more like a calm place with interesting architecture and something you wouldn’t usually see while travelling. Fun fact: Even the architect of the building is not known. However, the most striking part of the castle is the interior, which can definitely be called spectacular and is extremely beautiful. Besides that, the garden, which is in an English style, is also a perfect place to spend some calm hours. In my opinion, the Château de Flaugergues is for sure not one of the biggest or most spectacular castles in France, yet, it has its own charm and is absolutely worth visiting when you travel in the area. And if you love wine, this is your place – including a lovely local wine store. If you love the romance and intrigue of visiting the castles of the world, there’s no mistaking that France is an ideal place to sample some of the finest. 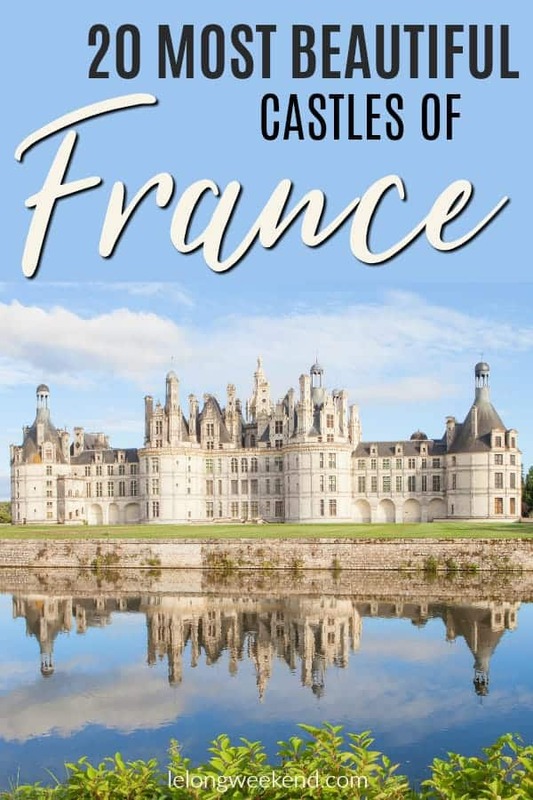 I hope you’ve enjoyed getting to know 20 of the best castles in France with me! If you’re looking for more inspiration about travelling in France, be sure to check out my previous articles here. I love castles! Very happy to say that I’ve visited most of the castles on your list :D. The castles in the Loire Valley are my favourite!